I started with 4x6 white card base. I covered the right side of the card with one pattern paper and the left side with another paper from GCD Studios Rose Colored Glasses 8x8 pad. 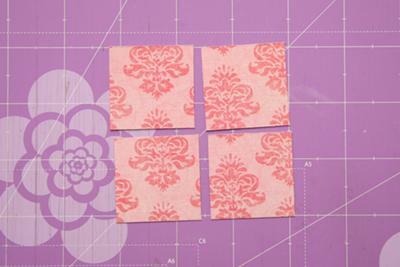 Using a different paper from the same paper pad I cut a square which I then cut into 4 smaller squares. Using Martha Stewart border punch I punched a border out of white cardstock. 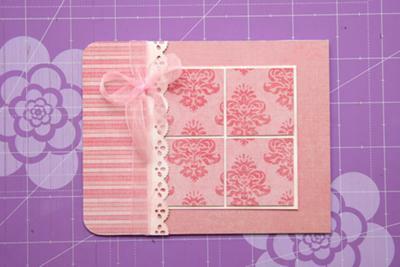 I used Studio G pigment inkpad to color the white punched border and give it a distressed pink look. 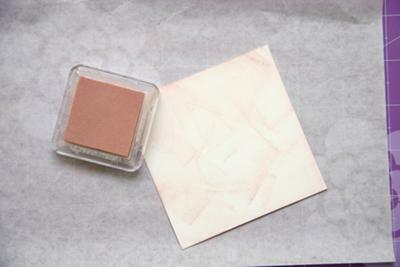 I cut a square from white cardstock and also colored it with pigment Studio G inkpad. I adhered the squared I cut from pattern paper to the white square using dimensional adhesive. I added the punched border and organza ribbon. I decorated the punched border with rhinestones. I finished the card by adding a cut out sentiment.